By far my favorite of the three, and that is saying a lot since Note Vanillée is so glorious, Note Ambrée is a sensual, soft and captivating scent that has elicited numerous compliments every time I've worn it. The name can be deceiving. This scent is not solely an amber fragrance and if you are looking for straight up amber, look elsewhere. Rather and much to my delight, it is a beautifully constructed floral with a strong undercurrent of amber. The notes include an invigorating top of bergamot and fennel leaves. The fennel adds a dash of uniqueness. Since I adore the use of fennel in many types of cuisine from pasta to salad, I easily appreciate the use of the fragrant, faint liquorice-smelling leaves in a fragrance. Even so, those averse to any form of anise or liquorice in fragrance still have a great chance of loving Note Ambrée. It is not the prominent note by far. The enthralling floral heart is what sets this fragrance apart. A delicate combination of jasmine, rose and ylang ylang, the soul of this fragrance is at once soft, sensual and emotional. 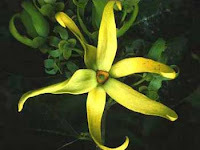 The use of ylang ylang, literally meaning "flower of flowers", in fragrance and aromatherapy has long been touted for its sensual and soothing qualities. It eases stress and squelches anxiety. Therefore, this floral heart captures the attention of others without holding them hostage and it soothes and comforts the wearer with a warmth and sensuality that is difficult to find in many fragrances. I faintly smell vanilla somewhere in there as well, giving gourmand fragrance fanatics a chance to love Note Ambrée. Being its namesake, I would expect the base of Note Ambrée to be pronounced and it most certainly is. Amber and iris fuse beautifully and linger on the skin for hours. This scent has all of the qualities that inspired my infatuation with Bond No. 9 West Side and then some. The delicate and classic flowers combined with the sensual warmth of amber make this fragrance very "me." For those averse to West Side due to the peony note, I suspect this fragrance will captivate them. The packaging, as you have seen from my previous reviews of this line, is what really sets these fragrances apart. It is charming, artistic and truly original. If it weren't for my wanting to preserve the fragrance by avoiding exposure to direct sunlight, and the desire to contain my pocketbook, I would gladly display all three bottles on my dresser. 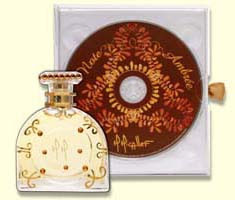 The resplendent Note Ambrée would be front and center! M. Micallef Note Ambrée retails for 117€ and 150mL bottle retails for 156€. I LOVE these perfumes! Have you found anywhere in the USA that carries them? I'm trying to replace my Ambre and having a difficult go at it. Any help greatly appreciated! Awesome blog!